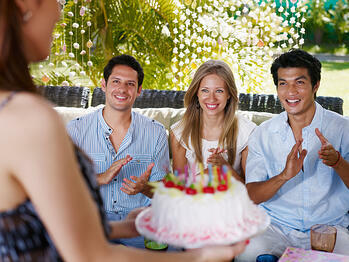 Recently, my husband and I went to a birthday party for a friend who we had not seen in years. His whole family was there, and we spent a good part of the evening catching up on old times with our friend’s father. He talked a lot about his three sons and their careers, and he mentioned that looking back now, he remembers noticing behaviors in them when they were young that led them to the career paths they choose. We all have a certain set of innate talents, the strengths that define who we are. As parents it’s often easy to recognize those talents in our children. They may have a talent for singing, sports, dancing… even arguing! Our friend’s father said two of his sons were big-time arguers from an early age. They would push back on everything and got a kick out of taking the opposite stance just to start an argument. But the third son was wired differently. He was nothing like his brothers and he did not find it fun to argue with everyone. In fact, he didn’t like arguing at all. Instead, he was analytical, curious and extremely observant, noticing things that no one else saw. The two arguers are now successful lawyers, and the quiet, analytical one is a successful engineer. As with law or engineering, being successful in sales requires talent. There are certain innate behaviors that sales superstars have in common. When you identify talents in sales candidates you are able to make good hiring decisions and put people in the right positions. Talent is the foundation for high performance in any endeavor. It’s essential to start with talent because you can add experience and skills later. 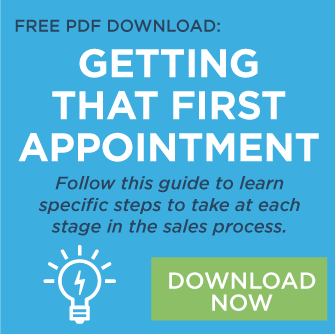 When you start with talented salespeople and make an investment in them, you will see increased revenue, reduced turnover, and sustained growth. Using a scientific talent assessment to measure the intensity of a candidate’s innate talents you can determine whether their talent makeup is the right fit for the position. You can and should supplement a formal assessment with your own detective work; before ever ordering an assessment (good ones are not inexpensive), you can look for talent by observing specific behaviors and listening for it in what people say to you. As you interview sales candidates, notice if they try to take control of the interview. Do they sell themselves well? Do they ask when and how your decision will be made? Do they try and close you to get the job? These are signs of Command. If you don’t see them, what makes you think this person will suddenly demonstrate these talents with prospects? Listen for evidence of strategic and creative thinking, understanding client needs, and offering unique solutions. Are they good at thinking on their feet? Do they ask really good questions and want to know about training opportunities? This is good evidence of Problem Solver. Do you want to put a salesperson out there who doesn’t have these traits at a fairly intense (frequent) level? Those are two of the innate characteristics that our research shows separates the best salespeople from the rest. There are six other talents that we measure that could also be spotted by a parent or close friend. I’ll discuss them in a subsequent article. To be sure you don’t miss that article, make certain you’re subscribed to our blog.